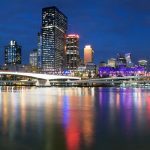 Are you looking for a truly unique Australian experience? 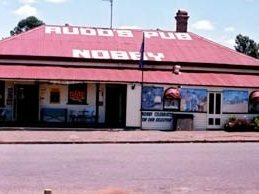 Then a visit to the legendary Rudd’s Pub in Nobby is a must! Travelling through the Lockyer Valley, the ploughed fields creating a patchwork landscape of colour all year round. Morning tea will be at Gatton, on the banks of Lake Apex before heading along Heifer Creek Rd which allows us to climb the picturesque Great Dividing Range without the steep & windy roads. 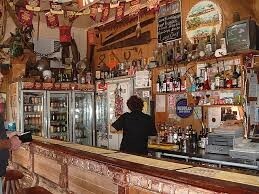 We now find ourselves in Dad & Dave Country, and at the heart you find the historical Rudd’s Pub. It’s here where the tales of Dad & Dave were written by Steele Rudd and there is plenty to do here! Take the time to explore the memorabilia that covers the walls and ceilings or just enjoy a coldie in the Heritage Lounge. Learn the history of Steele Rudd and the iconic Sister Kenny who pioneered the treatment of infantile paralysis. Visit the Sir Kenny Museum for a gold coin donation and the craft shop will also be open. You will be treated to a hearty alternate drop lunch followed by lovely dessert, tea and coffee. 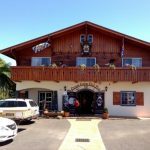 We finish our scenic drive passing the sights of Cunningham’s Gap as we follow the road through Aratula back to Brisbane.